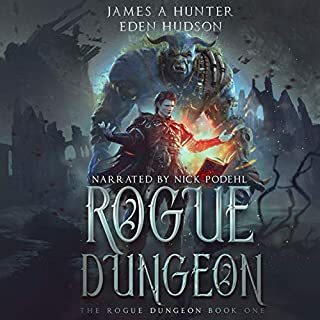 Nick Podehl's effortless story telling ability shines brightly in this entertaining, and interesting take on a LitRPG. James Hunter and Eden Hudson have managed to scribe something enjoyable and entertaining without the slighted need of a harem. I highly recommend this purchase, and I am looking forward to more. 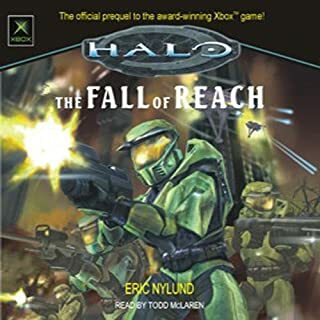 As the bloody Human-Covenant War rages on Halo, the fate of humankind may rest with one warrior, the lone SPARTAN survivor of another legendary battle...the desperate, take-no-prisoners struggle that led humanity to Halo: the fall of the planet Reach. Now, brought to life for the first time, here is the full story of that glorious, doomed conflict. Great book and easy listen. the story teller should pick a volume. I had to continuously turn the volume up, and turn it down. otherwise, no other complaints. This is not my first time listening to Joshua Story narrate a book, but this is the first Eric Vall book I have purchased. The other times I have listened to Joshua Story's narration and story telling, he has transported me inside the adventure. Unfortunately, the author's clipped sentences and choppy writing bothered me, and I was unable to let it go. Over all, it is an interesting idea, but the story seems to be lacking something that I can't quite put my finger on. I'm most likely going to purchase book 2. Don't let my opinion dissuade you from giving this story a listen. Take a chance and formulate your own opinion. 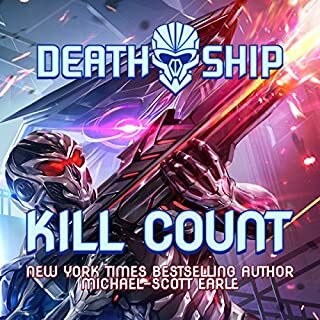 When Sergeant Jay Lucas was snatched away from his family farm by a diabolical sentient spaceship, he thought his life was over. But when his AI captor pumps Jay full of an insanely powerful liquid metal armor, he soon discovers the kidnapping was only the beginning of his trials. 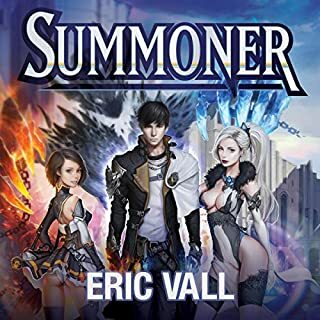 As the bloodthirsty AI trains Jay to harvest souls and increase the duo’s power, Jay learns there is a whole universe of bad guys who need killing. And when Jay’s unwavering moral compass puts him at odds with the plans of an alien mercenary company, he’s soon on the run with a gorgeous space princess. I wasn't sure about this story initially, but I shortly became enamored in the story and the performance. I am new to Michael-Scott Earle's writing style and story telling. i enjoy his particular craft quite thoroughly. Luke Daniel's keen ability to keep the momentum of Earle's story and flesh out the characters through his very talented voice kept me interested. I almost search for books primarily based off whether or not Luke Daniel's is behind the narration. I have listened to many audiobooks and Luke Daniels is one of the best out there, folks. It was vary good for a fantasy novel. 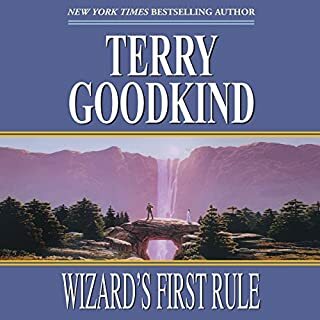 Most fantasy novels seem like their aimed at preteens nowadays. The narrating was very well done.